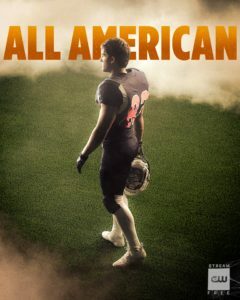 Though this CW TV Network show just aired at the beginning of October, critics are already giving rave reviews on the high school football drama. The main star of the new series is Daniel Ezra who stars as Spencer James, a black high school football player recruited to play for a Beverly Hills team causing him to leave his Crenshaw team. The show does a responsible and creative job of expressing the struggles Spencer, his family and friends face with his newly found split identity. The British drama thriller “Bodyguard” just hit Netflix in October after first airing on the BBC in the U.K. The show stars “Game of Thrones” actor Richard Madden, who appears as a troubled bodyguard to the Home Secretary in England. Although the middle episodes of the season are a bit slow, the last few and the season finale will have you on the edge of your couch. Watch how Barry Allen became the well-known speedy DC superhero on the CW TV network show “The Flash.” This show has a great balance of action, drama and comedy and is a spectacular show for all ages. Though last season’s ratings weren’t as high, “The Flash” has certainly come back strong this season, which only started up a few weeks ago so it’s not too late to catch up. If you haven’t seen any of the previous seasons before, you can find them on Netflix. For those of you who enjoy a good old-fashioned period piece, then you should add “Poldark” to your watch list. The show is based off the “Poldark” books by Winston Graham and stars Aden Turner as Ross Poldark, a former British army captain who comes home to find his whole life has been changed when his father is dead and his love is engaged to his cousin. The show airs on PBS and has previous seasons on Amazon. There are three types of people in this world: The people who love “Parks and Recreation,” the people who hate “Parks and Recreation” and the people who are on-the-fence about the show. If you idenitify with the middle, you should probably stop reading here. For those of you who might be undecided and have never heard of “Parks and Recreation,” the show features Amy Poehler, Chris Pratt and Rashida Jones and is set around a Parks and Recreation department in fictional city Pawnee, Indiana. The show is a mock documentary comedy and has eight seasons that contain incredibly witty humor. If you have been looking for a hilarious rom-com that exists in the television sphere, I’m happy to report I’ve found it for you. “The Mindy Project” is the tale of an OB-GYN who has her dream job but lacks her dream guy. While the show focuses predominantly on romance, it fights gender stereotype dynamics, making the show a modern woman or man’s dream rom-com. 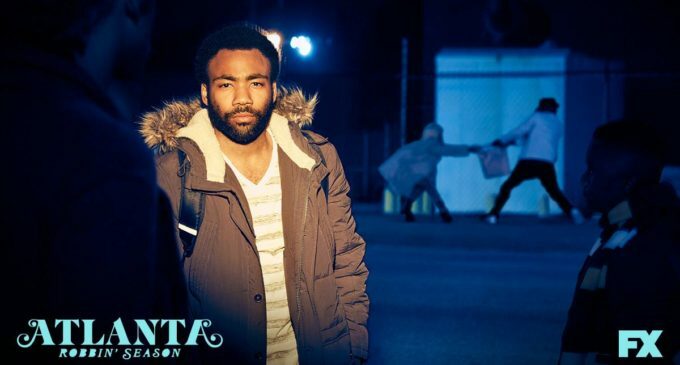 “Atlanta” features Donald Glover and is centered around the behind-the-scenes world of rap in Atlanta, Georgia. The show contains valuable messages in each episode while still holding onto lighthearted moments making it an enjoyable watch. The show is continuing into its third season next year, but while you’re waiting, you can screen the two previous seasons on Hulu. The fifth season of “Jane the Virgin” will be airing in January of next year, so you have plenty of time to binge watch the previous seasons on Netflix. The shows stars Gina Rodriguez as Jane Villanueva, a writer who desires to keep her virginity for her wedding night, but Jane’s life plans are turned upside down when she is artificially inseminated by her teen crush. If you like telenovelas or family comedy/dramas, you’ll enjoy this comically dramatic show. Think Funny Girl meets Gilmore Girls and you have “The Marvelous Mrs. Maisel.” The series features a 1950s house wife Midge, who finds herself at a cross roads when her husband leaves her and their two kids. Instead of wallowing, Midge finds solace in comedy eventually tries her hand at stand up. “The Marvelous Mrs. Maisel” aired last year but has an all new season coming in December.